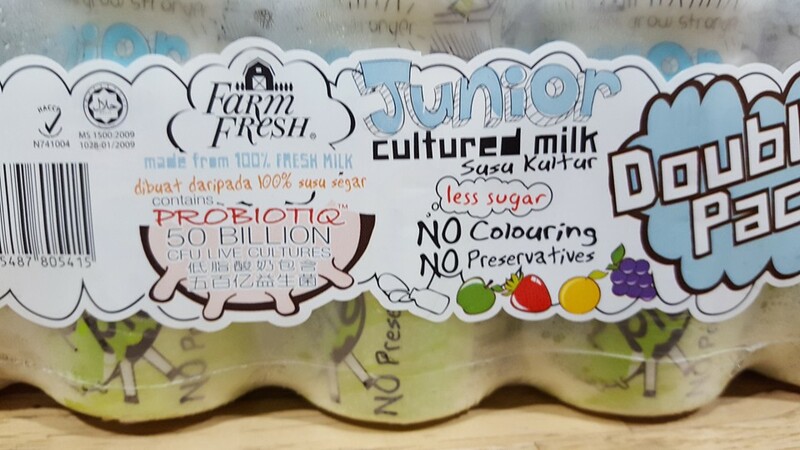 The company behind the Farm Fresh brand Holstein Milk Company has recently introduced the Farm Fresh Junior Cultured Milk in Malaysia. The packaging featuring a cute dairy cow is clearly aimed at children. 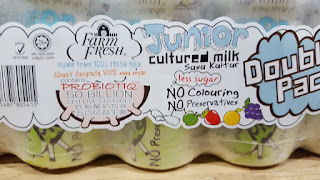 Apart from having 50 billion CFU live cultures, no colouring, no preservatives and less sugar, the unique selling point of Farm Fresh Junior Cultured Milk is it is made from 100% fresh milk. 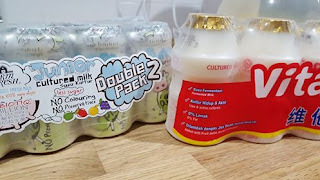 As a comparison, Yakult is made from skimmed milk powder and Vitagen from milk solids. The use of 100% fresh milk gives Farm Fresh Junior Cultured Milk a higher protein level. The sugar content is also the lowest among all the low-sugar cultured milk variants in Malaysia, making it the clear winner in the low-sugar cultured milk category. However, Farm Fresh Junior Cultured Milk contains 1.8g of fat per 100ml serving therefore it is ineligible to market itself as fat free.